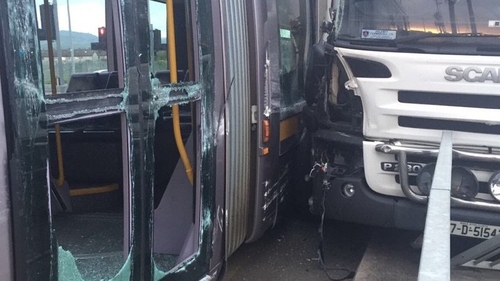 Two people have been injured following a collision between a Luas and a truck near Cheeverstown in Dublin on the Red Line. The incident happened between 6am and 6.30am. Two people were brought to Tallaght Hospital but their injuries are not thought to be life-threatening. Five units from Dublin Fire Service and two ambulances attended the scene. The Red Line services were disrupted for a time but have since been restored.